ROSE BEADS OR FLOWER BEADS WILL BE MADE FROM YOUR FLOWERS. 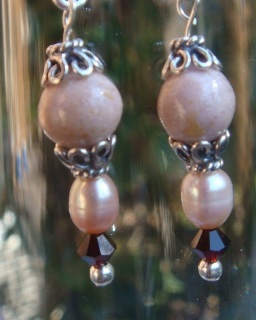 Rose beads/flower beads are complimented with freshwater pearls to make these keepsake earrings. Finishing touches include Bali beadcaps and Swarovski crystals.